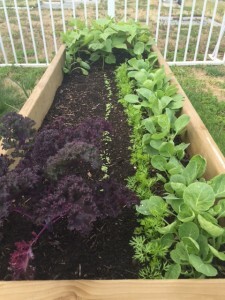 Gardening has always provided a tranquil stress free setting. Even in the midst of a busy city center. 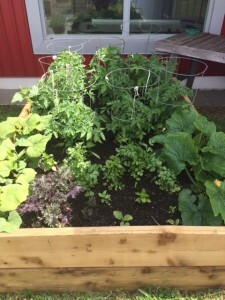 The rewards are great and self-serving from the time you see that first green spout to when you pick the first ripe vegetable to eat or cut fresh herbs for your recipe. 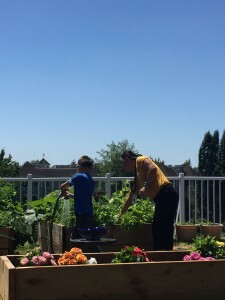 The Gateway of Hope has started a community roof top garden for those in Langley / Aldergrove that have an interest in gardening and wanting to grow their own organic vegetables. In partnership with A Roche we will teach and provide you with hands on workshops and seminars to help you succeed on your garden plot. 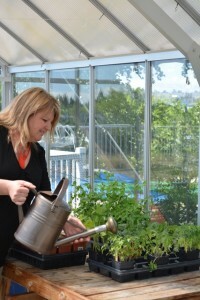 Some of the topics we cover are on planning your garden; seeding; growing and maintenance of your garden; and composting just to name to a few. This program requires a strong commitment as you are responsible for planting, maintaining (watering and weeding), and harvesting your garden. Not only will there be weekly workshops to attend but if it’s a hot summer you will have to be at the center daily to water your garden. The community garden is located on the roof of the Gateway of Hope (5787 Langley bypass). Workshops and seminars will be held at our location as well as at A Rocha (19353 16th Avenue). Arrangements will be made for transportation to get to A Rocha. Find out more about A Rocha. If you are interested in the community garden please call our office to see if spots are available and when our next start date is for. 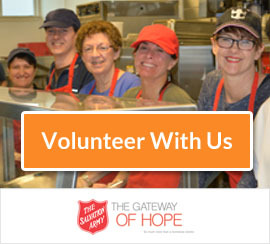 Our Emergency Shelter & Meal Center services run 7 days a week.